Roisin. Style: Fruit Beer, ABV: 4.2%. Description: Poured rose/pink and hazy. Big pink head that stayed for ages. Strong berry aromas. Not as much fruit on the palette as on the nose. 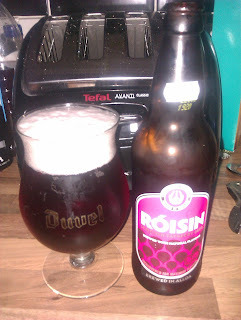 Quite a lot of hops and malt in the taste, despite the fruit content. Bitter-sweet berries. Light mouth feel, but slightly syrupy. Maredsous 6. Style: Golden Ale, ABV: 6%. Description: Poured light golden with a wispy blond head. Grapefruit and sour yeasty/bready aromas. Light fruit flavours, again grapefruit and citrus tastes. Slightly sour finish. Started light body but with decent carbonisation, though it became slightly flat before I finished it. Thoughts: Nice solid Belgian blond. 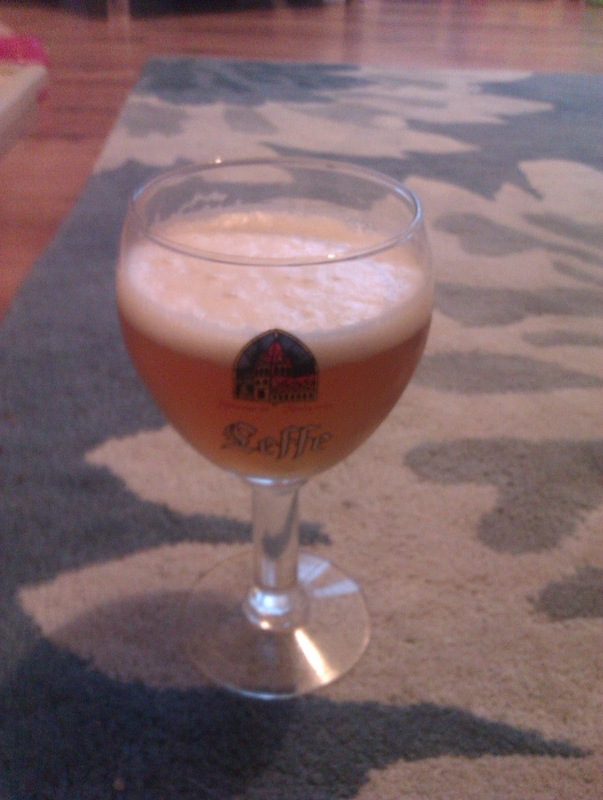 This would have been my favourite of the maredsous range if it hadn't been for how flat it went at the end. May that was my fault (badly poured maybe?) but it brought down the score a wee bit. Very refreshing beer though, you'd never guess it was 6%!